From their weekly report in the Observer, I see that Gillian Keegan and Nick Herbert are still tied to the Prime Minister’s puppet strings. Economist Liam Halligan – May’s ‘best deal’ puts us at Brussels’ mercy. Daniel Hannan MEP – This calamitous deal allows the EU to ruin us. Charles Moore – former editor of The Telegraph – The PM’s deal is terrifying: it achieves the exact opposite of what the Leave result was meant to deliver. Ruth Lea CBE – Political economist and former civil servant – No Deal is a liberation. From a person believed to reside in Gillian Keegan’s constituency, Martin Howe QC – May’s capitulations are catastrophically incompetent. 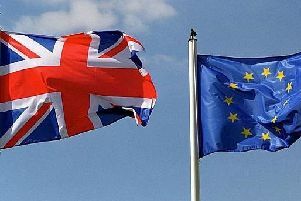 Both Chichester and Bognor Regis constituents voted to leave the European Union. It is a member of parliament’s duty to honour their constituents declared wishes, which the Withdrawal Agreement patently does not. Gillian Keegan would do well to ask Martin Howe for an audience to discuss Brexit. All MPs should read, at the very least, the article by Martin Howe in the Sunday Telegraph dated 25th November. Remainers assert that leaving the EU without an agreement would be akin to falling off a cliff edge, overlooking the fact that, for this eventuality, we would have a parachute in the form of the World Trade Organisation. Endorsing the Withdrawal Agreement, however, would be akin to falling off a cliff into a viper infested swamp. In the run-up to signing the Treaty of Rome Edward Heath volunteered to give access to our fishing waters. The Common Market Commissioners could not believe their luck! Today, Theresa May gifts the EU £39billion of our money for nothing in return, and wants the UK to endorse a document which says we cannot fully leave the EU without their permission! While a sensible mutually beneficial agreed deal is preferable, a No Deal would concentrate the minds of officials and politicians, on both sides of the channel, to ensure goods continued to flow between us unhindered. An extension of Article 50, which was designed to make leaving the EU extremely difficult, but preferably for the EU impossible, would only increase tension between the UK and the EU. With each succesive EU treaty signed we have lost more sovereignty. The bottom line is that we have voted for the return of all sovereignty – not just bits of it! Should Parliament reject the Withdrawal Agreement then, if she is an honourable woman, Theresa May will immediately resign. To do otherwise will delay the appointment of her successor, thus obstructing the planning for a ‘No Deal’.